Young’s experience runs the gamut of video production/editing, sound production, special fx makeup, visual fx, movie trailer production, production assistant, lighting assistant, animation, film music, foley, and more. Versatile, experienced, professional, and easy to work with, Young is an excellent addition to any film crew. Located in Buffalo, New York, Young has been involved in local productions as well as dozens of original films and international projects for clients. If you are interested in programming these video and/or tape pieces for concerts, festivals, or other venue, or would like me to speak at your event, E-Mail me at spenayoung@gmail.com. Please add the venue and work title in the subject heading. Award-Winning Composer Sabrina Peña Young produces compelling musical soundtracks. 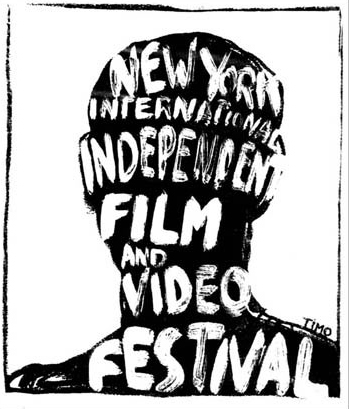 Young’s films and soundtracks have been featured at the New York International Film Festival, Art Basil Miami, Buffalo Dreams Fantastic Film Festival, Animasyros in Greece, Turkey’s Cinema for Peace, New York City Opera America, New Music Miami Festival, Art Miami, Fort Lauderdale International Film Festival, the Beijing Conservatory, and countless venues worldwide. Sign up for Buffalo Indie Filmmaker Boot Camp. Create a film in six weeks from screenplay to final cut. Hosted in Western New York. Film BC Films have been screened at the Buffalo Dreams Fantastic Film Festival, Buffalo Movie and Video Makers, Screening Room Cafe. Young has been exploring film and video art for 20 years. She worked under Emmy-winning documentary filmmaker Charles Lyman at Atlantic Productions, working as a production assistant for Inside Out and other projects and assisting at the Chinsegut Conference of the Moving Image. While taking film/media classes at the University of South Florida, Young studied under Lyman and controversial visual artist Hassan Elahi, best known for his work on media and its social implications. As part of the cutting edge artist group SYCOM, Young combined her love of electroacoustic music with performance art and media to create a variety of intriguing projects including Flower in the Sidewalk, an interdisciplinary event showcasing urban artists and musicians and participating in the annual BONK! Festival and Tampa’s Contemporary Music Festival. Young continued to delve into film/media and music, writing the score for emerging New York filmmaker Kalup Linzy‘s All My Churen using only freeware music software and creating intriguing sci-fi inspired video art like World Order #2 for Turkey’s Cinema for Peace. In 2003 Young decided to combine her pursuits in Music and Media by studying Music Technology at Florida International University, taking an extra year to study film/media with video artist Jacek Kolasinski. While studying film/media, she had the opportunity to showcase works like Portrait of Urban Lifeand Psychosis I: Dissociation at venues like Art Basil Miami and Art Miami, as well as other local South Florida galleries and events. Young also had an opportunity to act as audiovisual assistant to legendary composer Pauline Oliveros at the Deep Listening Gallery in New York, participating with the visual work Inner Thoughts of the Distorted Psyche’ for the annual Women and Identity Festival and collaborating with artists Lisa Barton and Sadie Brathwaite for the interdisciplinary work Tewaizations. Young used her graphic design and film experience for a variety of organizations, including the International Computer Music Conference‘s Composer Jukebox and the Fluxus-inspired multimedia performance art work World Order #4 for the FIU New Music Ensemble. Young continues to explore media and music, writing the score for the award-winning short Monica by Emmy-Winning animator Rob Cabrera, collaborating with international video artists for the Vox Novus 60×60 Project, and creating her first narrative feature Libertaria: The Virtual Opera, which resulted in international acclaim and screenings at the Holland Animation Film Festival, Animasyros, the Buffalo Dreams Fantastic Film Festival, Opera America in New York City, and a TED Talk in Buffalo, New York. In 2015 Young collaborated with composer Lee Scott on his social media web opera The Village, which included crowdsourced composition from several international composers and engaged the audience directly through Internet interaction. Young began collaborating with local filmmakers, joining the Buffalo Movie and Video Makers, America’s oldest film society. As a part of BMVM, Young participated in the 48 hour Film Festival and was in the production of short films like Bug Love, The Pearl of Tia Maria Magdalena, Freak of Nature: 10 Years Later, Singularity, Life Line, Invisible Strings, and Murder Zone. Young’s animation style is unique, combining Blade Runner-inspired science fiction and Hitchcock horror with graphic novel inspired machinima. Young is currently working Alicia, a children’s video game opera, further breaking ground in media and an original animated feature Spiritus, as well as Western New York productions like The Cure and Scamarama the Next Generation. In 2017 Young’s horror film short The Pearl of Tia Maria Magdalena, the comedy short Welcome to Space Force,and sci-fi animated short The Murder Zone were screened at the NCCC Video Festival and Buffalo Dreams Fantastic Film Festival, and her film Libertaria continues to screen worldwide. A young teen rebel escapes from a genetics factory and pairs up with her addict father in this exciting machinima opera premiering in 2013. With a talented cast from all over the US, a compelling cinematic score, and stunning visuals, Libertaria breaks ground as the first musical created for machinima and the world’s first original machinima opera. At the Buffalo Dreams Fantastic Film Festival. premiered in West Palm Beach, with screenings and musical performances worldwide including New York City Opera America, New Music Miami Festival (Premier of Libertaria Song Cycle by NODUS), Buffalo Dreams Fantastic Film Festival, and Animasyros in Greece. Composer Prize-Winning Short by Emmy-Winning Animator Rob Cabrera.